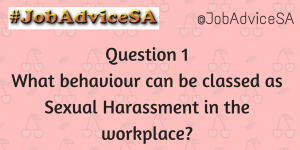 #JobAdviceSA Questions – Sexual Harassment, what should you do? 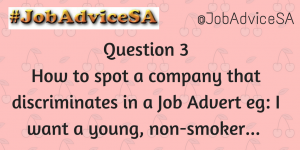 I have been asked this question several times of late so I decided to use one of our #JobAdviceSA sessions to discuss this rather Taboo topic. Quite a few ladies have sent me private messages/DMs to ask how to deal with these situations without losing their jobs. Unfortunately, I feel that sexual harassment in the work place is on the rise. 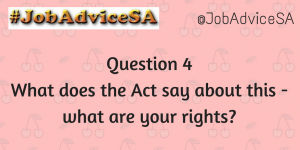 Hopefully today’s chat will help you to deal with these uncomfortable situations better.